this horror film releasing today. It will soon be Diwali and the country will be saying Happy New Year along with Farah Khan and her ensemble cast that has travelled the world promoting their film. 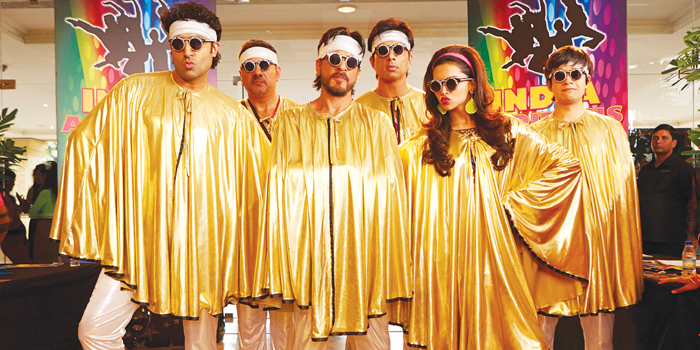 There is no ignoring Boman Irani, Vivaan Shah, Sonu Sood, Abhishek Bachchan, Deepika Padukone and Shah Rukh Khan in the film. The actors had the challenge of creating two characters for the film ensuring that each was distinct from the other. In a recent interview, Bachchan said that Shah Rukha��s intention was to make the a�?biggest-looking filma�? and it certainly seems that. With a combination of action, romance, dance and drama, it has checked all the right boxes. We are also looking forward to Farah Khana��s special end credits, in which she films all those who contributed to the making of her movies.